The Fluke 1742, 1746 and 1748 Three-Phase Power Quality Loggers give you fast, easy access to the data you need to make critical power quality and energy decisions in real-time. 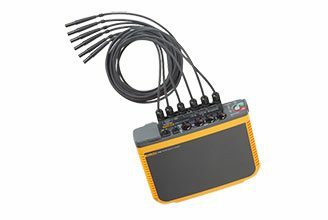 Compact and rugged, the Fluke 1740 Series Three-Phase Power Quality Loggers are designed specifically for technicians and engineers who need the flexibility to troubleshoot, quantify energy usage and analyze power distribution systems. Fully compliant with international power quality standards such as IEC 61000-4-30 and capable of simultaneously logging up to 500 parameters while also capturing events, the Fluke 1740 Series helps uncover intermittent and hard-to-find power quality issues more easily than ever. 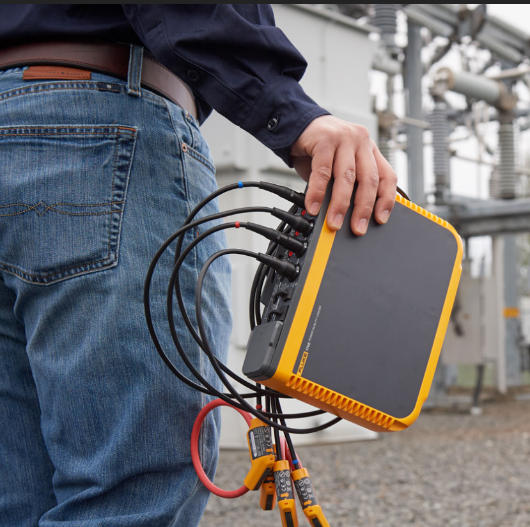 The included Energy Analyze plus software quickly assesses the quality of power at the service entrance, substation, or at the load, according to national and international standards like EN 50160 and IEEE 519. An optimized user interface, flexible current probes, and an intelligent measurement verification function that allows you to digitally verify and correct connections makes setup easier than ever and reduces measurement uncertainty. Minimize your time in potentially hazardous environments and reduce the hassle of suiting up in PPE by using a wireless connection (WiFi) to view data directly in the field. Which power quality logger is best for you? The Fluke 1748 logs over 500 different parameters for each averaging period. This allows you to analyze power quality in detail and to correlate intermittent events with detailed waveform data, helping to identify the root cause of disturbances. For basic power quality logging, the Fluke 1746 captures all relevant power parameters for performing energy saving studies and electrical network planning with a full upgrade option to 1748 available. 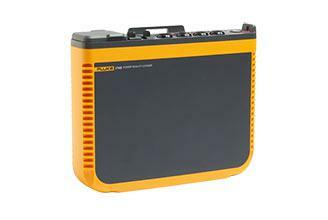 For simple load and energy studies the Fluke 1742 offers optimal performance in a rugged package and can be upgraded to 1746, or complete 1748, functionality.